As in other nineteenth century North American cities, Milwaukee’s earliest regulations dealt with the risk of fire. Destructive fires in the 1840s and 1850s led the city to prohibit the construction of wooden buildings in the central business district and to regulate the design and construction of chimneys, hearths, ovens, and boilers. Concerns about health, safety, and sanitation prompted Milwaukee to develop new building regulations by the start of the twentieth century. In 1907 the Milwaukee common council ordered a revision and systematization of the myriad rules governing building construction. A comprehensive building code was finally published in 1914. In 1928, convinced that this building code was confusing and already obsolete, the common council ordered another revision. The common council established a building code committee consisting of engineers, architects, builders, real estate dealers, and representatives of labor. This group worked to modernize and simplify the aging code, as well as to align it with newly established state building regulations. The committee began meeting in early 1929 under the direction of city building inspector Leon M. Gurda. In June 1931, Gurda reported that the revised code was only six months from completion. However, the revisions were finally finished only after another twenty five years of stalled progress, intense public scrutiny, and renewed promises. Upon signing the revised building code into law in 1957, Mayor FRANK ZEIDLER commented that it was already time to revisit the older chapters of the code. In 1945 the common council passed a housing code defining minimum health and safety standards for city dwellings. Unlike the building code, which generally focused on safety in building materials and construction methods, this new housing code set terms for occupancy, utilities, and amenities. Principally written by city health commissioner Dr. E.R. Krumbiegel and enforced by the health department staff, this law was commonly known as the “Krumbiegel Ordinance.” Shortcomings in the law and enforcement mechanisms prompted the common council to revise the code according to Krumbiegel’s suggestions in 1955. It also dramatically increased the size of the health department staff charged with enforcing the code. While enforcing the code over the next two decades, Krumbiegel both worked with and at times found himself at odds with landlords, developers, and city leaders. Upon his retirement in 1973, Krumbiegel was widely praised as a “stubborn but friendly fighter,” who was committed both to eliminating “blight” and ensuring access to safe, decent, and affordable housing and whose housing code was an innovative model for other cities. In 1976, new Wisconsin legislation mandated the creation of a Uniform Dwelling Code for one and two family homes, but not for multi-family units. Enacted in 1979, the state code provided for health, safety, and energy efficiency standards in the design and construction of residences. The state Department of Industry, Labor and Human Relations was originally charged with its administration. This code, as well as other state and local building and housing ordinances, are now enforced locally by Milwaukee’s Department of Neighborhood Services. ^ Richard Harris, “Building Regulations and Building Codes,” in Encyclopedia of American Urban History, ed. David Goldfield (Charlotte: University of North Carolina, 2007), 102-105; Richard Harris, “Building Regulations,” in Encyclopedia of Urban America: The Cities and Suburbs, ed. Neil Larry Shumsky, vol.1 (Santa Barbara: ABC-CLIO, 1998), 104-105. ^ Bayrd Still, Milwaukee: The History of a City (Madison: The State Historical Society, 1948), 233-234; Charter & Ordinances of the City of Milwaukee (Milwaukee: Daily News Book and Job Steam Printing, 1857), 460. ^ Richard Harris, “Building Regulations and Building Codes,” in Encyclopedia of American Urban History, ed. David Goldfield (Charlotte: University of North Carolina, 2007), 102-105; Richard Harris, “Building Regulations,” in Encyclopedia of Urban America: The Cities and Suburbs, Neil Larry Shumsky, ed., vol. 1 (Santa Barbara: ABC-CLIO, 1998), 104-105; Bayrd Still, Milwaukee: The History of a City (Madison: The State Historical Society, 1948), 388. ^ “Building Code Held Obsolete: Never Really Adequately Revised, Is Blamed for Confusion Here,” Milwaukee Journal, July 6, 1944. ^ “Building Code Held Obsolete: Never Really Adequately Revised, Is Blamed for Confusion Here,” Milwaukee Journal, July 6, 1944; “To Talk on Building Code: Inspector Harper to Address Realty Men on Tuesday,” Milwaukee Journal, December 12, 1915. ^ “Building Code Held Obsolete: Never Really Adequately Revised, Is Blamed for Confusion Here,” Milwaukee Journal, July 6, 1944; “Building Code Delay Scored: Work Not Finished,” Milwaukee Journal, July 7, 1944. ^ “Code Changes Came to Halt: 1930 Articles by Gurda Remind City of Lack of Activity Since,” Milwaukee Journal, July 9, 1944. ^ “Building Code Delay Scored: Work Not Finished,” Milwaukee Journal, July 7, 1944. 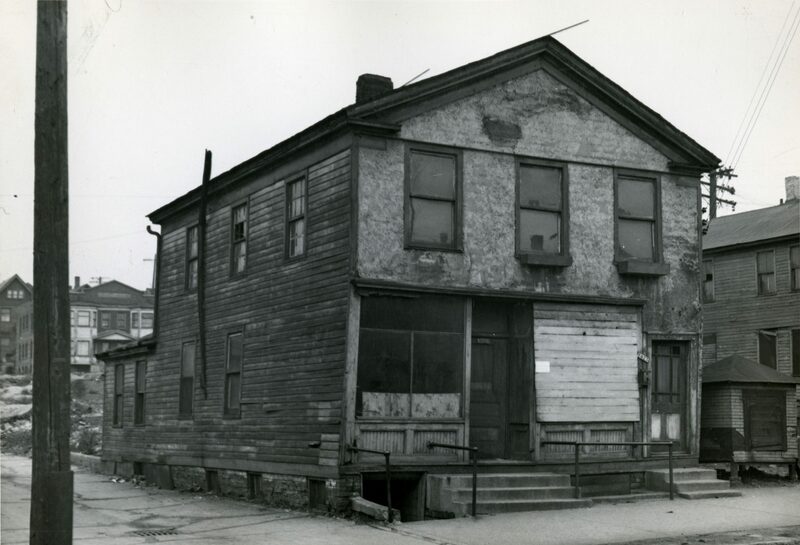 ^ “City Building Code Signed,” Milwaukee Sentinel, February 17, 1957; “Building Code Release Gains: Chapter at a Time to Be Sent to Council at Behest of Mayor,” Milwaukee Journal, April 23, 1948; “A Jolt for Mr. Gurda,” Milwaukee Journal, May 21, 1947; “Milwaukee: Building Code Revision Again Undertaken—Now Let’s Go!,” Milwaukee Journal, September 14, 1944; “Stalling on Code Revision,” Milwaukee Journal, July 13, 1944. ^ “City Building Code Signed,” Milwaukee Sentinel, February 17, 1957. ^ William J. Manly, “Shortage of Inspectors Hinders Slums Battle,” Milwaukee Journal, March 30, 1954; “Krumbiegel Asks Bigger Code Staff,” Milwaukee Sentinel, October 28, 1955; William J. Manly, “Rehabilitation of Homes Speeds Under City’s Housing Ordinance: Aid Seen for Area’s Welfare, but Authorities Say It Is Not Answer to Slums,” Milwaukee Journal, June 18, 1950. ^ “Krumbiegel in Last Code Row,” Milwaukee Sentinel, March 19, 1954; “Krumbiegel Urges Housing Code Changes,” Milwaukee Journal, April 12, 1955; “New City Housing Code Tribute to Many Who Helped,” Milwaukee Journal, June 30, 1955; “New City Housing Code Tribute to Many Who Helped,” Milwaukee Journal, June 30, 1955; Editorial, “As We See It: Housing Code,” Milwaukee Sentinel, July 14, 1955; “Krumbiegel Asks Bigger Code Staff,” Milwaukee Sentinel, October 28, 1955. ^ “Seven Areas Listed Under Housing Code: 99 Blocks Included in a Systematic Plan of Rehabilitation Under New Setup,” Milwaukee Journal, August 5, 1955; “Views Differ: Action Put Off on Blight Plan: Stand by Krumbiegel on Enforcement at Odds with Backers of Urban Renewal,” Milwaukee Journal, September 13, 1955; “209 Rooming Houses Close after New Code: Krumbiegel Can’t Say How Much of Decline in ’56 Resulted from Tougher Law,” Milwaukee Journal, April 30, 1957; “Krumbiegel Quits after 32 Years,” Milwaukee Sentinel, January 16, 1973; Joel McNally, “Krumbiegel Bids a Wry Farewell,” Milwaukee Journal, February 10, 1973. ^ “Krumbiegel Quits after 32 Years,” Milwaukee Sentinel, January 16, 1973; Joel McNally, “Krumbiegel Bids a Wry Farewell,” Milwaukee Journal, February 10, 1973. ^ “Statewide Building Codes Viewed as a Mixed Benefit,” Milwaukee Sentinel, July 3, 1976; “Housing Code Meetings Set,” Milwaukee Sentinel, March 31, 1978. ^ “Statewide Building Codes Viewed as a Mixed Benefit,” Milwaukee Sentinel, July 3, 1976; “Housing Code Meetings Set,” Milwaukee Sentinel, March 31, 1978; “New Code Makes Some Stoves Illegal,” Milwaukee Journal, September 28, 1980; “Uniform Building Code Seems to be Doing Well,” Milwaukee Journal, December 28, 1980. ^ “Department of Neighborhood Services: Residential Code Enforcement Section,” Official Website of the City of Milwaukee, accessed March 29, 2014; “Department of Neighborhood Services,” Official Website of the City of Milwaukee, accessed March 29, 2014; “City Charter and Code of Ordinances: Table of Contents,” Official Website of the City of Milwaukee, accessed March 29, 2014.